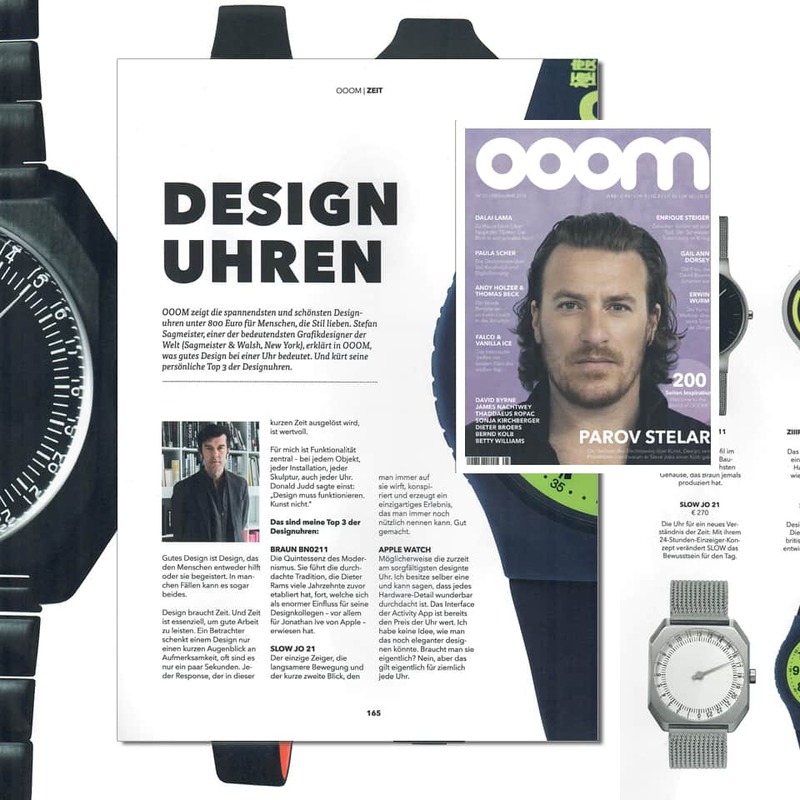 In the latest edition of inspirational magazine OOOM one of the world’s most influential designer – Stefan Sagmeister (Sagmeister & Walsh, New York) – elects slow Jo 21 as one of his TOP 3 design watches. HOW AWESOME IS THAT?! 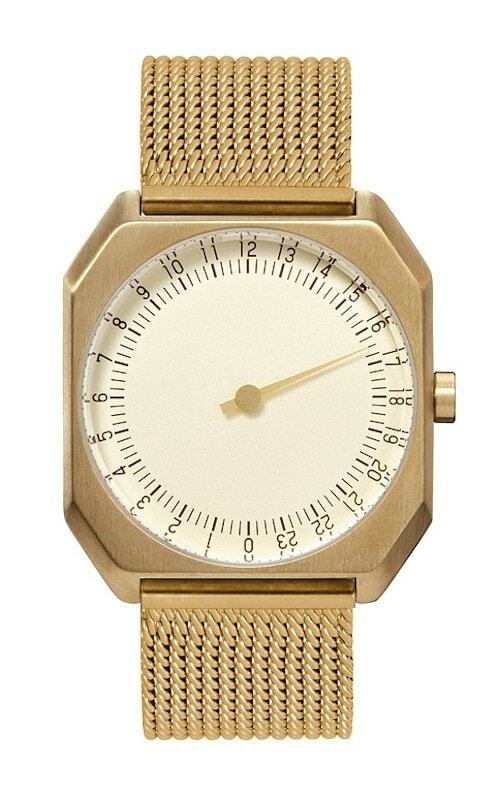 He is fascinated by our 24 hour one-hand concept and the unique experience of wearing a slow watch. We are especially honoured by this as we have always been big fans of Stefan who takes a truly slow approach himself: Every seven years he is closing his studio for one entire year. He using this sabbatical to rejuvenate and refresh their creative outlook. We love that idea! 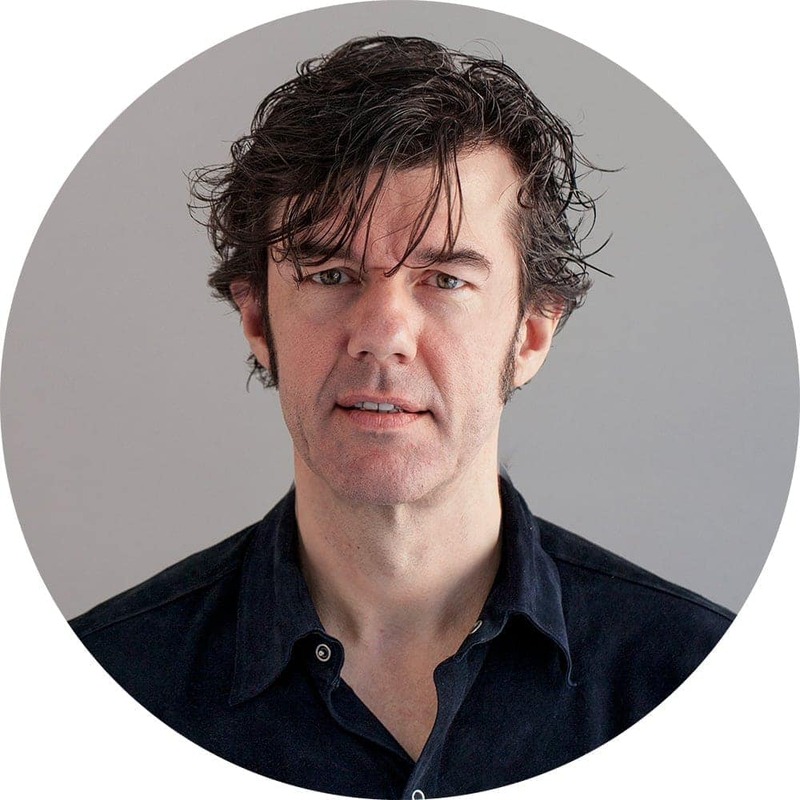 Stefan Sagmeister is one of the top influential designer in the world. 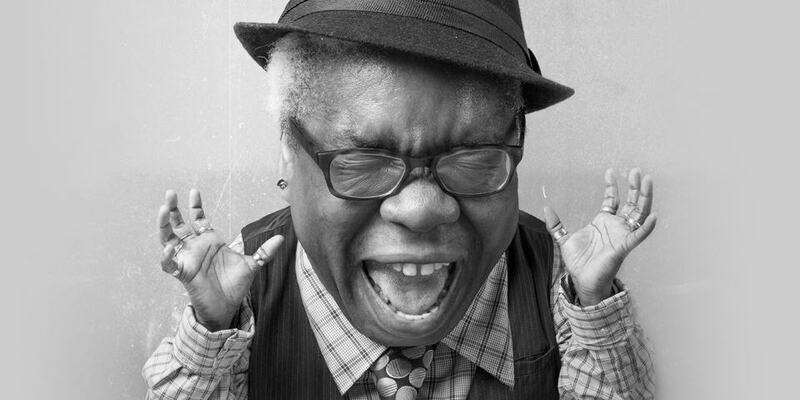 He has worked for the Rolling Stones, The Talking Heads, Lou Reed, and The Guggenheim Museum. Exhibitions on Sagmeister’s work have been mounted in New York, Philadelphia, Tokyo, Osaka, Seoul, Paris, Lausanne, Zurich, Vienna, Prague, Cologne & Berlin. 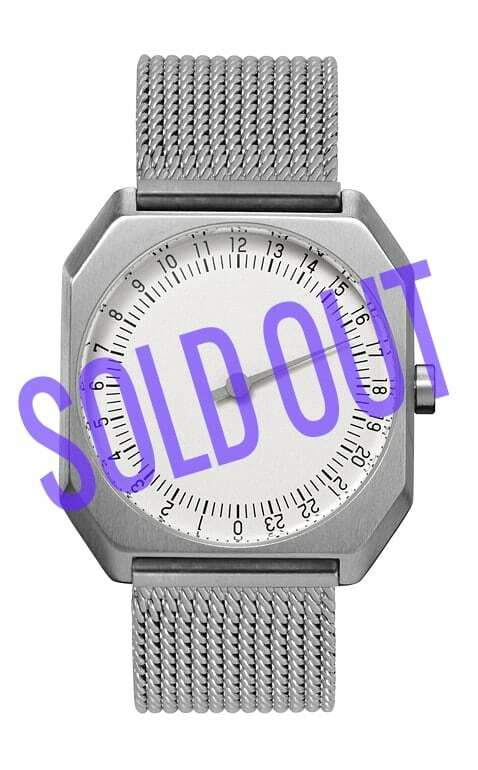 Unfortunately, the slow Jo of his choice was the slow Jo 21 that is already sold out. 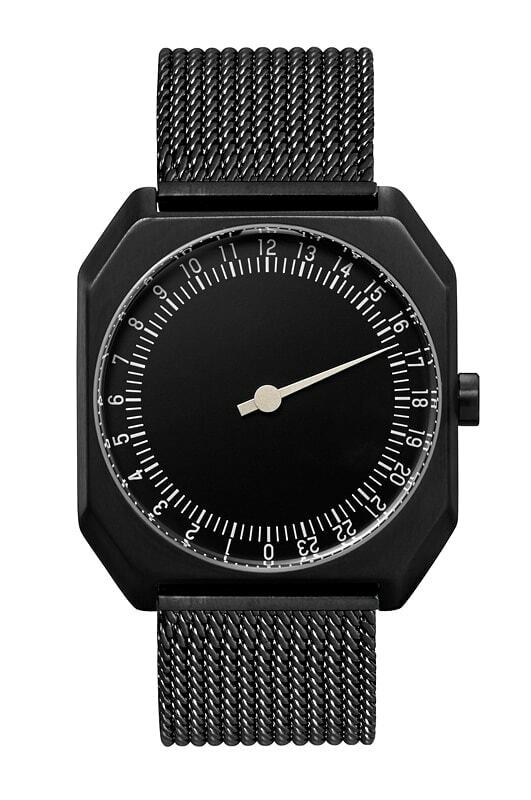 But you can still find an all black (slow Jo 22) and all gold (slow Jo 23) slow watch with its beautiful mesh band and the unique 24h concept.